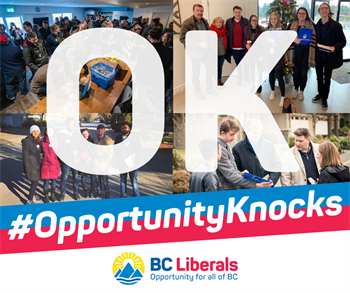 Join us for an afternoon of door-knocking on Saturday, May 25 at 2:00 PM in Richmond-Queensborough with our fantastic MLA, Jas Johal! Our goal is to identify potential support in areas across British Columbia and start conversations with voters about the NDP's reckless taxes and destructive policies that are making life less affordable and less rewarding for Vancouver residents and British Columbians. Please feel free to invite friends or family members to join us. Register today to let us know we can count on you for May 25!